Fitbits and activity trackers are all the rage these days. Think all Fitbits are waterproof?! Think again! 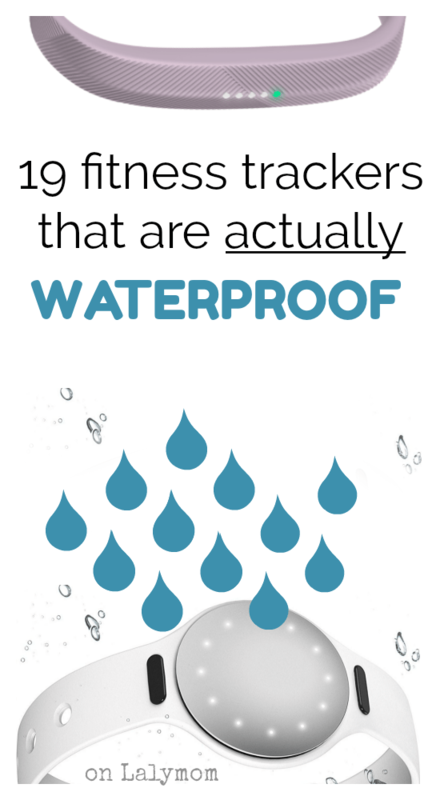 See our list of waterproof fitbits to see which fitness trackers are actually waterproof! So let's take a look at the best waterproof fitbits, fitness trackers and swim trackers. 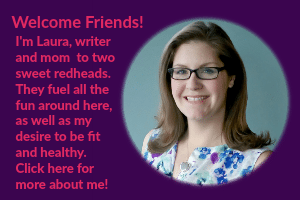 Affiliate links are included in this post for easy comparison shopping. If you're hopping over here from my popular post on 5 Ways to Waterproof Your Fitbit, or No Your Fitbit is NOT Waterproof, then you might be a little annoyed that you shelled out all this moolah for a cool fitness wearable and you can't get it wet. Most Fitbits and step trackers are labeled splash proof, which means you can wash dishes, get it wet in the rain, etc, and you should be fine. To them, I always say, “Hooray you are one of the lucky ones!” But they are not meant to be worn in the shower, bath or pool and eventually you may find water damage. If you're here searching for an alternative, I've got several to show you but be sure to read through the features and reviews thoroughly to be certain the one you choose has the features you need. For example, someone who swims a lot might want to steer clear of the waterproof Fitbit Flex 2, based on reviews that their swim tracking isn't perfected just yet, while someone who does water aerobics might find it to be the perfect solution. Obviously choosing Fitbits for Swimming (versus getting wet here and there) has its own special considerations. 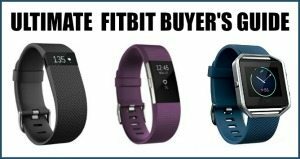 Below I have broken down several products into four categories: Waterproof Fitbits, other waterproof fitness trackers, high end waterproof fitness trackers and swim trackers. Fitness trackers have similar features to popular Fitbits, whereas swim trackers are really geared mainly towards swimming. Fitbit has been making fitness wearables since 2007. 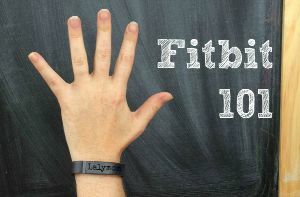 If you want to know more about what a Fitbit is, and how to get started, check out Fitbit 101. Many Fitbit users assume because of its rubberized band that it is waterproof. In fact, all but the new Fitbit Flex 2 are actually only splash proof, as discussed above. There are other options from the Fitbit family however, thanks to a third party waterproofing company. Here are all the options for users wanting a waterproof Fitbit brand tracker. Click through the colored links for more details, specs and reviews. BEST BUDGET BUY – Fitbit Flex 2 – PROS: Waterproof with automatic swim tracking. CONS: No watch face or heart tracking. This tracker is the update of the original flagship model. It does not have a watch face, but instead its sleek, slim band features LED lights to convey information. You can check your rough step count, receive text and phone call alerts, track your sleep, set silent alarms and change out the band for a more fashionable look. You cannot track your heart rate or use GPS features with Flex 2. To see exact step count and other trackable information, you need to sync with the app and view the information on your phone or computer. NOTE: As I write this, reviews seem to say that their integrated swim tracking feature is not yet perfected so if you are looking for that feature, be sure to read the most recent reviews to see if Fitbit has updated and improved this feature. Otherwise, it makes a great entry level, affordable fitness tracker with the bonus of being waterproof. TOP FEATURES PICK- Fitbit Ionic – PROS: Waterproof, Hear rate tracking, Can use GPS and music without your phone, third party apps supported. CONS: Larger size than most other fitbits. See my review of the 7 Crazy Cool Features of the Fitbit Ionic for more info. Fitbit's newest release is already a Best-seller on Amazon. The Ionic is a superwatch to end all other superwatches- and the best news?! It's actually waterproof! It's loaded with some really cool features and the number of cool things you can do with this tracker will only increase. Because it has its own app ecosystem, coders will be developing new apps for it. Right now this does not include emails or replying to texts or calls. Some people, like me, might not want emails on your wrist, which is why I opted for Ionic. If you want email on your wrist, you need to go with an Apple Watch 2, see below. 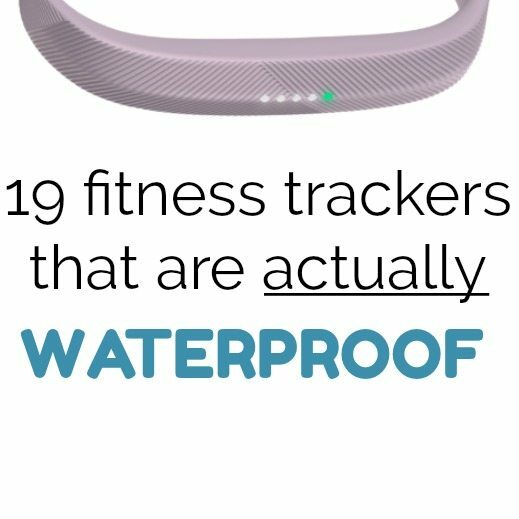 For more ways to buy a waterproofed Fitbit brand trackers, see Waterfi Fitbits below. TOP NON-FITBIT BRANDS: MOTIV Ring Fitness Tracker – Yes you read right, there is a waterproof fitness tracker that is a RING, not a wristband. Totally worth a look for anyone who does NOT need lap swim data. ALTERNATE NON-FITBIT BRAND: Garmin Vivoactive HR PROS: Very sports-oriented, heart rate tracking, waterproof, comes in two sizes. CONS: Not many! This is a great choice for outdoorsey people and athletes who like many different sports and activities. Tracking things above and beyond the usual running, biking, swimming, this watch has tracking capabilities for skiing, snowboarding, golf, rowing and paddle boarding too. Waterfi Fitbits: Waterfi is a separate company that buys Fitbits directly from Fitbit, opens them up and waterproofs the internal features. This gives you the best of both worlds- all the features of more advanced Fitbit models, with the waterproofed functionality. I'll discuss the specific models that they offer below. Waterfi waterproof fitbits do not add swim lap tracking, but any models with heart rate tracking can track your heart rate while swimming. Also, when you purchase a Waterfi fitbit, the original fitbit warranty no longer covers it, instead waterfi provides a 1 year warranty. Also you should always take your tracker off after getting wet to allow your skin and the band time to dry. Waterfi Fitbit Alta – This is a great entry level fitness tracker with a watch face. NO Heart rate tracking. Features include a slim band, interchangeable band, watch face display, text and call alerts. No GPS capabilities. Waterfi Fitbit Alta HR – This Alta HR features a slim band, interchangeable band, heart rate tracking, watch face display, text and call alerts. No GPS capabilities. Some people prefer the slim style of the Alta, whereas others prefer the slightly wider display or the Charge 2. Waterfi Fitbit Charge 2 – Charge 2 has a lot of the same features as Alta HR. The slightly wider band allows for a readout that is slightly easier to read. But it also has heart rate tracking, watch face display, interchangeable bands, call and text alerts. No swim lap tracking but will track your heart rate and that you moved while you swim. Waterfi Fitbit Blaze – The Blaze takes all the features of the Charge 2 and Alta HR and add some premium features. Connected GPS, Hi-res color touch screen displays stats, on-screen workouts, notifications, and music control. Although Fitbit is fast becoming a household name, there are many other top notch companies offering fitness trackers that are waterproof and many also feature swim tracking capabilities. Click the links below for more product information and tons of reviews. MOOV Now – This is truly a multisport training fitness tracker. With the free MOOV app, it offers free guided programs in sports including running, cycling, swimming, body weight training, and cardio boxing. MOOV NOW for swimming offers the most advanced swim tracking and stroke detection available so you can focus on your swim, not counting laps. One notable difference between this and many other trackers is you will just need to change the battery every 6 months, there is no weekly or daily charging. However, it does not have a watch face and you cannot glean much information from looking at your wrist. Misfit Shine Swimmer's Edition – The Shine automatically tracks steps, distance, calories, and light and heavy sleep, non-charging, replaceable battery lasts up to 6 months. It also tracks laps and swim distance with industry‐leading accuracy offers vibration alerts for call and text notifications, movement reminders, and alarms. Similar to the MOOV, there is no watch face display, it is more stylized to show progress. The earlier versions of this tracker reportedly had wrist band issues that allowed the tracker to pop out. More recent reviews suggest an improvement in this area. TomTom Spark 3 – The Spark 3 is a great multisport tracker with music storage and heart rate capabilities. No touchscreen but it's very capable for a waterproof activity tracker. Polar M2oo – The M200 is a really cool watch for runners…. who also want to be able to get wet. It can go in the pool with you but it will not track swim metrics like some of its upscale cousins. It features heart rate tracking, GPS and a customized running program just for you. Garmin Vivoactive HR – This is not the same as the above Vivoactive, with just heart rate tracking. This updated version of the Vivoactive is totally different looking and adds a lot of features- including heart rate tracking. With GPS-enabled running, biking, swimming, skiing, snowboarding, golf, rowing, paddle boarding and activity tracking right on your wrist, you can sweat all day with your phone safely tucked away. Polar V800 – Another Polar model, this one is endorsed by an Ironman Champion, so it must be good for swimming, biking, running and all around athletic training! If you are looking for the creme de la creme of waterproof wearables, with some crazy premium features, be sure to check out Garmin's lineup. Not all Garmins are waterproof, so if you're looking for that feature be sure to verify before you buy. A few waterproof standouts are as follows. Click the links for more information and reviews. Always read through the features to be sure a trackers does what you want. Forerunner 935 and Forerunner 735 – These 2 Forerunner models are premium GPS running/triathlon watches with wrist-based heart rate tracking. By premium, I mean super slick. It tracks biomechanic metrics, monitors your training, and can even be paired with other apps like Uber and Accuweather to give it true super watch status. Preloaded sports profiles on the more robust 935 include Hiking, Climbing, Skiing, Snowboarding, XC Skiing, Stand Up Paddleboarding, Rowing, Indoor Rowing, Jumpmaster and Tactical. Fenix Line – The Garmin Fenix trackers feature awesome running tracking capabilities but beyond its running functions, fēnix Chronos offers special feature sets to help with swim training, skiing, golfing and paddle sports, including stand-up paddle boarding and rowing. Quatix Line – Woah guys. This does things I never even knew people wanted trackers to do! They are premium multisport marine smartwatches that provides comprehensive boat connectivity as well as tracking for most any marine sport or activity. We got sailing, fishing, swimming, paddleboarding, canoeing, and so much more. Whether you are an avid swimmer looking for technology to track your laps or a beginner looking to get started with swim training, there are many products out there to help you meet your goals. 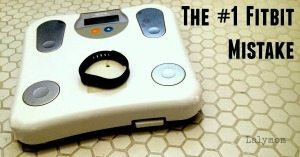 Waterfi Swim Trainer – This nifty gadget is a much different format from the other products listed. It is not worn on your wrist but instead it is slid under your swim cap. It includes waterproof short cord headphones through which you listen to guided swim training workouts. The waterfi swim trainer also tracks your laps and, when synced with the Waterfi app (only for iOs at this time) you can view all the data from all of you swim workouts. Garmin Swim Watch – This is a straight up swim watch. No flash, no sizzle, just pure swim tracking. While it does have an app to go with it, it is not meant for tracking steps; it's a watch, with swim tracking. Pure and simple. Finger Mounted Lap Counter – This is basically a waterproof digital ring worn on the index finger. As you complete a lap in the pool or on the track, you hit a button and it keeps track of your laps. That's it. No app. No step tracking or heart rate monitoring. Just laps, folks! Are Fitbit Zip and Fitbit One Waterproof? No, Fitbit Zip and Fitbit One are not waterproof. They are splash and sweatproof but should not be worn in the pool, bath or shower. 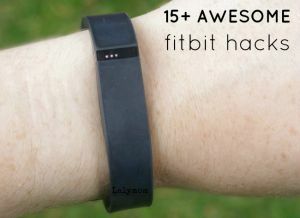 The original model Fitbit Flex was not waterproof, it was only rated as splashproof. The Fitbit Flex 2 is waterproof and swimproof. The standard Fitbit Alta and the standard Fitbit Alta HR are NOT waterproof. However this model of Fitbit Alta is waterproof and swimproof. The original Fitbit Charge, the standard Charge HR, the standard Charge 2 are NOT waterproof. Only this model of the Charge 2 is waterproof and swimproof. The Fitbit Surge is not waterproof, it is only splashproof and sweatproof. There are no waterproof Fitbit Surge models, the best alternative is a Fitbit Ionic. The Fitbit Blaze is not waterproof. For waterproof alternatives, check out Fitbit Ionic and Fitbit Versa. So, Which Fitbits Are Waterproof? What do you think? Which waterproof fitbits, fitness tracker or swim tracker is the one for you? Am I missing your favorite? Let's hear about it in the comments below! This whole subject is pretty overwhelming to me. But I want is really straight forward. I want to achieve 10,000 steps a day. But I do water aerobics – jogging, walking in the water every day. I need those steps to count, too. I don’t care what it costs – as long as it’s easy to use – and can do land & water steps. I’ve just purchased the Fitbit Charge 2, having been told by the sales person that it is definitely watrproof for my aquagym classes, only to find out that it is only splashproof, so it’s going back tomorrow. Now I’m on the hunt for one that records my activity both in and out of water plus heartrate, GPS, and other useful features such as sleep patterns. Oh nuts, isn’t that the worst feeling? They seem like they would be waterproof because of the rubber wrist band. I would tell you to check out the Ionic or the Garmin that I mention at the beginning of the post if GPS is important to you. Hope this helps! 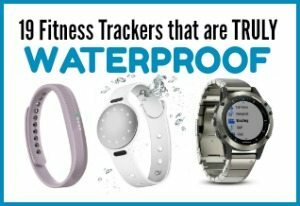 I do water aerobics , and am looking for a tracker that is not only waterproof, but accurate. I wonder if you or one of your readers have any ideas. I had the polar 370 for a year. It was waterproof, but did not track my heartbeat accurately in the water. When I would check my heart rate manually it would read when very active around 160/minute, but my tracker only registered at the most 118. I just bought the Garmin Vivosmart 3. I am having the same issue with it. After doing 45 minutes of intense cardio I got 10 minutes of ‘active minutes’. Any suggestions?